Don’t commit to calling Jessica in an hour and show up 2 hours later at the hotel. 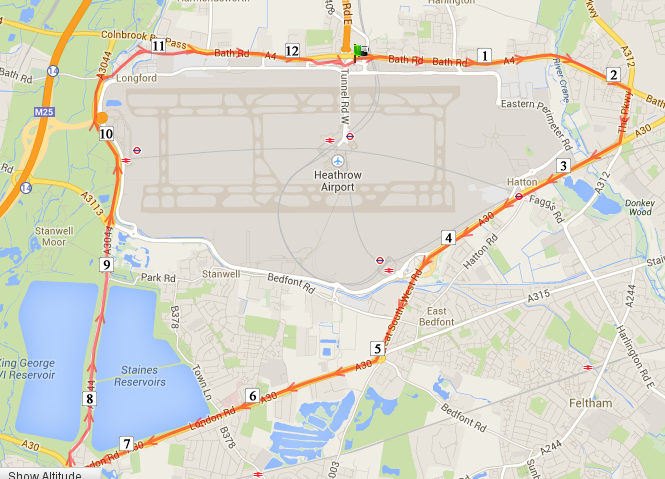 Question the advice of hotel concierge staff that cannot recommend a local running route. It was fun, I saw plenty of neat close-up takeoffs and landings. 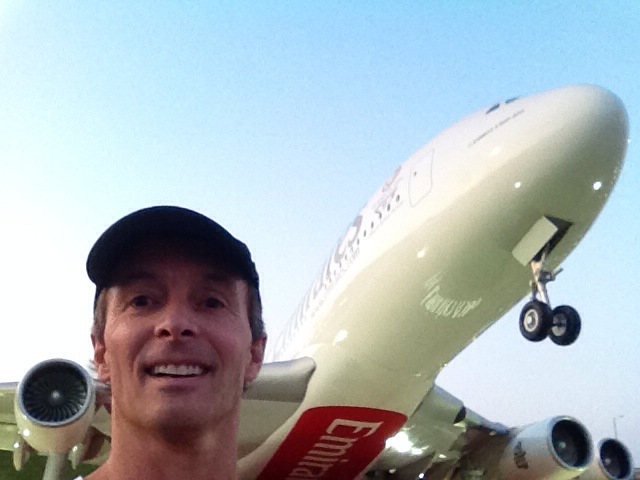 I did takemy picture next to a nice Emirates model of the A380 – som well positioned that it almost looks as if it was taking off behind me! The Heathrow security staff don’t take this lightly since all of the UK is under the second highest terror alert (highly likely) in their system. I’d do it again, since many times I stay near Bath Rd at Heathrow. But I’ll know more when I do!